Nonfood: Liquid Filling Services – ActionPak, Inc.
At ActionPak, we offer a wide range of liquid filling services for industrial, personal care, cosmetics, and many more. Whether your need is filling for detergents, cleaners, fragrances, paints, or automotive products, ActionPak can satisfy your bottling needs. Blending services are available! Once you have developed the formulation and selected the suppliers for your ingredients, APK can follow your blending instructions to manufacture your product before it is packaged. All we ask is to receive all the safety data sheets (SDS) prior to quoting in order to confirm what safety measured are necessary to handle your components. You have the choice: Whether you sell your product in bottles, wide mouth jars, or flexible pouches, ActionPak has the answer. We can handle a few ounces to five a gallon packages, from small to large volumes, in many styles. Let us you select the appropriate types of closures as well. For example, we can handle standard screw caps, pump sprayers, trigger sprayers, and many more. Let us offer you a full turnkey solution: ActionPak has great experience in sourcing all different types of packaging. For example, we can supply bottles, jars, labels, tubes, and pouches in many different sizes, colors, and shapes. If you feel like you are not finding a cost effective or creative solution for your brand, let us help! We might just have what you are looking for. During the filling and packaging process, you can choose from many bottle decorating options. We have invested in bottle decoration equipment for wrap around pressure sensitive labels, cut and stack labels, front and back labels, or shrink sleeve labels. Offering these options gives you the flexibility to change label formats at any point without disrupting your supply chain. Sometimes a label change is all your brand needs to be rejuvenated! You can also choose from a number of sealing and closing options to satisfy your tamper evident requirements. Tamper evident shrink wrapping ensures safety of the product until it reaches the consumer. 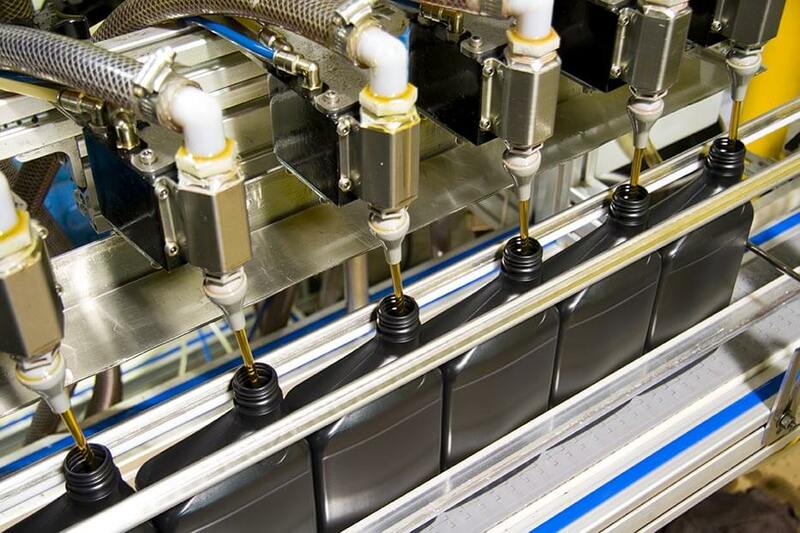 Whether you select to apply a clear shrink band to the top of each unit or a heat induction lined cap to the bottle, ActionPak can satisfy your safety needs. On the regulatory side, we utilize high speed batch coding equipment to mark each bottle or unit with a lot code and expiration date. Third-party laboratory services are offered if you’d like your product tested before it hits the market. At ActionPak, we pride ourselves in handling all aspects of liquid filling from design to distribution. Bottles, Jars, Tubes, Pouches, Jugs, etc.